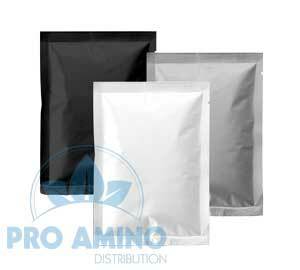 Producing convenient single serve and 1/2 serve protein sachets which can be sold individually or used for promotions. All sachets are produced in our food manufacturing facility following GMP (Good Manufacturing Practices) with HACCP food safety accreditation. The minimum order per flavour for single serve and 1/2 serve protein samples using our blended protein range is: 3330 sachets when made as 30g serves or 6,600 sachets made as 15g 1/2 size serves. Sachets are available in gloss black, silver or white or ask us how we can have your own design printed directly on the film. 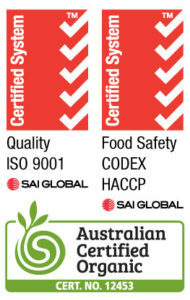 We can also supply stickers you can apply to each sachet. Finished food grade 30g full size protein sachets and 15g 1/2 size sachets are 11cm x 14cm with a tear notch and four side heat sealing. Do you have your own protein or powder already? We can pack your products into black, silver or white sachets or we can even have your design printed directly on the film! Contact us today for a custom sachet quote!